But since last October, Eskridge and Ferejohn have been paramount in my mind and I may need to eat some crow. It has been impossible to watch the past eight months of debate and drama over the Affordable Care Act without thinking of superstatute theory. I have nearly finished an article making that case, but given this week’s events, I could not resist putting the idea out there sooner. On Monday, the Supreme Court decided another case that enhances ERISA’s deregulatory impact, Advocate Health Care Network v. Stapleton (holding that pension plans maintained by church-affiliated organizations, including hospitals, are exempt from ERISA’s pension protections as “church plans.”). Justice Sotomayor joined the majority opinion but wrote a concurring opinion lamenting its outcome and suggesting that Congress rethink ERISA — a suggestion Justices Thomas and Ginsburg have also made in the past. Abbe Gluck, Peter Jacobson, and I wrote the following on ERISA’s increasingly outsized influence and how it poses an impediment to health reform in the Health Affairs Blog on June 2, 2017. The Supreme Court has once again been called on to mediate the boundaries of a far-reaching, infamously complex, federal employee benefits law. And once again this law may have an important and unanticipated effect on health care. Attendance to both events it free, but registration is required. 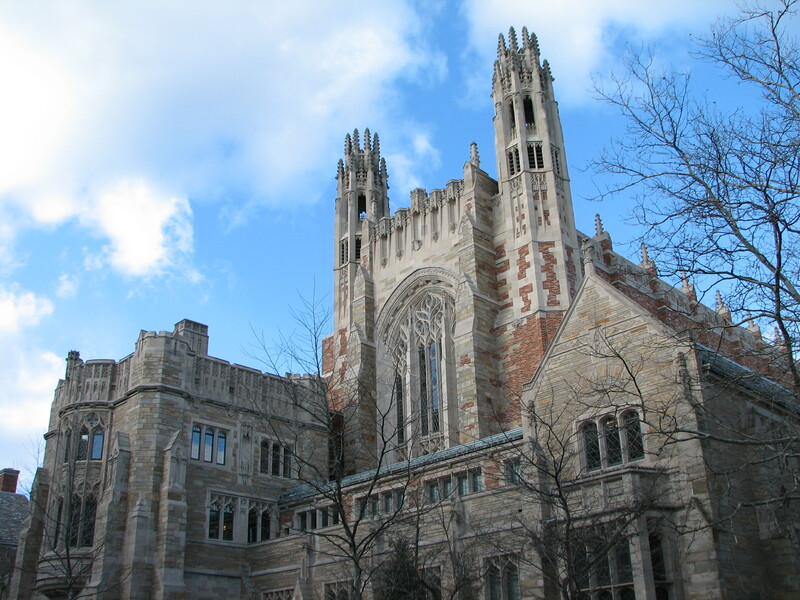 The Yale Law School is delighted to announce the launch of the Solomon Center for Health Law and Policy, an exciting new Center at Yale Law School dedicated to training the next generation of health law leaders—academics, CEOS, lawyers, and government officials—and having an impact today on the most important health care issues. Yale Law School and so many others in the medical-legal community mourn the sudden passing of our colleague and friend, Robert (“Bo”) Burt. As many readers of this blog know, Bo was an early pioneer in thinking about doctor-patient relationships and the hardest questions about the end of life. He worked for years on the Soros Project, Death in America, and authored numerous books, including In the Whirlwind: God and Humanity in Conflict (Harvard Univ. Press, 2012); Death is That Man Taking Names: Intersections of American Medicine, Law and Culture (Univ. of California Press and the Milbank Memorial Fund, 2002); and Taking Care of Strangers: The Rule of Law in Doctor-Patient Relations (Free Press, 1979). His YLS obituary is here. He will be sorely missed and always remembered. What’s less known, however, is that in the 2012 constitutional case, these same challengers filed briefs describing Obamacare to the court in precisely the way they now say the statute cannot possibly be read. Namely, they assumed that the subsidies were available on the federal exchanges and went so far as to argue that the entire statute could not function as written without the subsidies. That’s a far cry from their argument now that the statute makes crystal clear that Congress intended to deny subsidies on the federal exchanges. The challengers have spent more than a year arguing that no reasonable reader of text could construe the statute in any way other than denying federal subsidies to insurance purchasers on exchanges operated by the federal government. But what about their statements from 2012—statements then echoed by Justices Scalia, Kennedy, Thomas and Alito in their joint dissent to the Supreme Court’s ruling in the constituitional challenge, NFIB v. Sebelius? You can read more, including the relevant passages from the NFIB v. Sebelius briefs, here. I had hope to take a day off blogging about Halbig and King (the ObamaCare Subsidies cases), but I cannot allow another new, and inaccurate, narrative about ObamaCare to take hold. Over at Volokh, Ilya Somin argues that the holding in Halbig is not absurd because Congress uses statutory schemes all the time that try to incentivize states to administer federal law (and penalize them if they don’t). It is true we see schemes like that all the time–Medicaid is a prime example–but the insurance exchange design at issue in these cases is NOT one of them. This federalism argument was made before the D.C. Circuit and even Judge Griffith didn’t buy it in his ruling for the challengers. I tried to dispel this myth back in March, when I wrote the following on Balkanization. As I said there, this isn’t Medicaid—it’s the Clean Air Act. As most readers know by now, two federal appeals courts on Tuesday reached the opposite conclusions about the validity of the critical financial subsidies on the ACA’s federal health insurance exchanges. The Fourth Circuit in Virginia upheld the subsidies—indicating the government had the better argument, but regardless applying the longstanding rule that when a statute is not clear, courts defer to the agency administering the statute (in this case, the IRS). The D.C. Circuit, however, ruled the other way, reading one provision of this massive and complex federal law out of context. That opinion not only misinterprets the statute—with enormous practical consequences—but also does a deep disservice to conservative jurists and lawyers who have spent the last 30 years arguing that text-based interpretation is sophisticated, not literalistic, and serves democracy. The stakes are enormous: If the D.C. Circuit’s opinion ultimately carries the day, more than $36 billion dollars in financial relief will be denied to the approximately 7 million people expected to be insured with the help of this financial assistance. It also places Republicans in a real dilemma, especially as the election cycle heats up: The result, if the ruling stands, would be massive red-state/blue-state disparity, as millions of middle-class Americans are deprived in red states of access to medical care, because it is mostly the red states whose subsidies are now at issue. As I wrote yesterday on Balkinzation, the opinion is terribly disappointing from a statutory interpretation perspective. It relies in part on irrelevant legislative history (from the HELP committee, whose bill wasn’t even the basis for these provisions–the Finance committee’s was) and gets it wrong anyway (as I argued here); it bends over backwards to come up with reasons why Congress might have intended this result (which we all know it certainly did not); and it attaches far too much significance to a line in the statute that expressly deems exchanges in the territories to be state exchanges and does not replicate the special deeming language for the federal exchanges. The territories language is boilerplate language used by Congress when talking about territories in statutes even beyond the ACA, and should have been attached no significance here. For a more detailed legal and political analysis, check out my op-ed on the cases. Cross-posted at Balkinzation and Election Law Blog. The proponents of the Affordable Care Act (ACA) tax subsidies law suits (currently pending in both the D.C. and Fourth Circuits and which I have discussed here, here, here, and here) have seized on the Court’s recent decision in Utility Air Regulatory Group v. EPA—going so far as to file letters of supplemental authority with both courts highlighting the case as additional relevant authority for the subsidies suits. We should hope that the courts understand the ACA—and the specifics of the subsidies challenge—well enough to understand how different these cases are. There is also much in Utility Air, not mentioned by the challengers, that supports the Government’s position in the ACA case, and that should resonate with even the most textualist of judges. The ACA challengers’ filings and blog posts highlight the part of Utility Air in which the Court refused to let EPA “tailor” the Clean Air Act’s explicit pollution thresholds (raising them higher than the statutory allowance because greenhouse gas emissions are much greater than conventional pollutants). They also highlight the Court’s invocation of the so-called “major questions” rule—the presumption that Congress does not delegate decisions to agencies of vast economic and political significance without making that delegation clear.